Before I get started with this week's subject I want to give a big congratulations to Georgia Hall for winning the Ricoh Women's British Open. Georgia, who entered the final round one stroke behind Pornanog Phatlum, shot a final round five under par 67 to win win by 2 strokes. It was Hall's first win on the LPGA Tour. It has been 3 months since I last did a report card on this year's rookies. At that time the LPGA had only played 11 tournaments, they have now completed 22 events. So much has changed. The Year 2017 was a strong year for LPGA rookies. Twelve rookies finished in the top 100 on the LPGA money list and retained their full time playing privileges. One other rookie retained her card by finishing in the top ten on the Symetra Tour. It does not appear that the 2018 rookies can match those numbers. 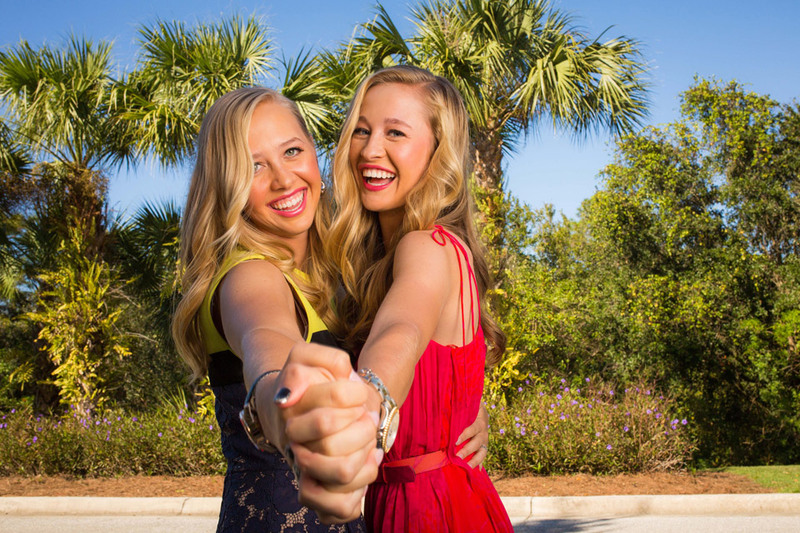 I would like to change this up a bit this time, by strictly rating these girls on their chances of retaining LPGA cards for the 2019 season. Any successes or failures on other tours (except Symetra Tour) are not considered here. My only concern here is, are they safe for the 2019 season, or will they have to participate in the Q-Series to earn back their playing privileges. The LPGA Qualifying Tournament will still be held in 3 stages this year, but the final stage will get a makeover as the Q-School Series. The Q-Series will be made up of two four round tournaments scheduled in back to back weeks, with cumulative scores used over eight rounds. If a player finishes in the top 100 on the 2018 year end money list, they will retain their playing privileges for 2019. If they finish between 101st and 150th they will have to participate (and be successful) to have playing privileges in 2019. All players that finish in the top 10 on the final 2018 Symetra Tour money list will earn full time playing cards in 2019, and avoid having to participate in the Q-Series. For the thirty 2018 LPGA rookies that I will be rating today, obviously their aim is to finish in the top 100 on the year's money list, thus avoiding having to participate in the Q-series. Jin Young Ko is having an outstanding 2018 rookie season. 1- Jin Young Ko - As predicted at season's start, she has a very big lead in the Louise Suggs Rookie of the Year race. She missed her first cut this past week after making 16 in a row. She won early (the first tournament of the season), and has been one of the most consistent players on tour. Her nine top ten finishes currently rank second on the LPGA Tour. Her 69.69 strokes per round also rank her second. She is currently #11 on the official money list. 2- Georgia Hall - Her whole season turned around (and her life also) this past week when she won the Ricoh Women's British Open Championship. Her season up to that point had been very mediocre, registering just one top ten. She now finds herself #15 on the money list, and maybe still has a shot (a longshot) at being Rookie of the Year. 3- Emma Talley - The first true rookie on this list so far (did not come from another major tour), she is enjoying a very solid year. She has made 14 cuts in 18 starts, and her 71.52 scoring average is solid. She played her best golf in July, registering two top five finishes, so expect her to continue to improve. She is currently #40 on the year's money list, and her card for next year has already been earned. 4- Yu Liu - She has made 13 cuts in 18 tournaments this year, and is currently on a streak of four consecutive top 25 finishes. Like Emma above, she seems to be getting better and better as the year goes on. She has two top ten finishes this year, and currently resides at #52 on the money list. She has also earned her card for 2019. 1- Hannah Green - Hannah jumped off to a real start this year finishing 3rd at the ISPS Handa. She has fallen off some since, but appears to have done enough to be safe for next year. Her scoring average of 72.43 (116th on tour) doesn't impress, but that 3rd place finish currently has her #64 on the money list and only a complete collapse would prevent her from finishing in the top 100. 2- Brittany Marchand - Because of a poor priority ranking, she did not get her first start until April. Her priority ranking improved with the first reshuffle, and she has taken full advantage. In twelve starts she has made ten cuts. Her 7th place finish at the Thornberry LPGA Classic has been the highlight of her season so far. 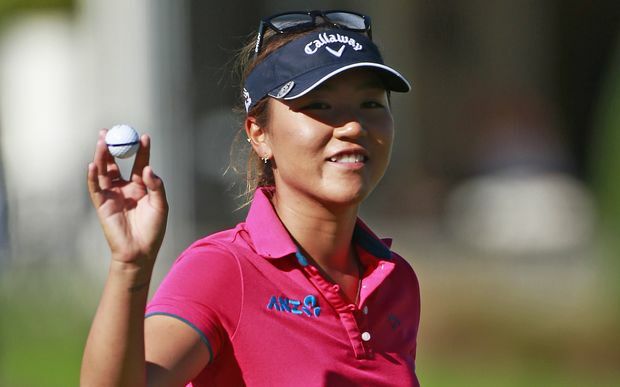 Her scoring average of 70.92 is excellent and ranks #30 on tour. She is currently #91 on the money list so she still has some work to do, but don't bet against her. I expect her to wrap up a 2019 spot very soon. 1- Nanna Koerstz Madsen - Nanna had a fantastic year on the Symetra tour in 2017 (winning three times), and the expectations were high for her rookie season. She struggled mightily the first half of the season, but has played better recently with two top 20 finishes. She has made just 7 cuts this year in 18 events. Her scoring average of 72.22 (104th on tour) needs to improve. That said, her current ranking of #102 on the money list still has her in contention to grab one of those 100 spots and avoid the Q-Series. Her next few starts will make or break her season. 2- Maria Torres - You have heard me say many times in the past, "That it only takes one real good tournament to retain your card." Torres has had a tough time all year, making just 6 of 17 cuts, but her 7th place finish at the Thornberry LPGA Classic has kept her head above water (barely). Her scoring average of 72.86 is not good, but her money list rank of #103 still has her fighting for her 2019 card. 3- Robynn Ree - Robynn has teed it up 17 times this year, making 8 cuts, with a best finish of 25th. Her overall numbers are not very good, including her 72.54 scoring average which ranks 120th on tour. That said, she still has a fighting chance as she is currently #108 on the money list. 1- Luna Sobron - Luna has teed it up 18 times this year and made 7 cuts. Her best finish has been a tie for 30th place, and she sits at #120 on the money list. Her scoring average of 72.81 (ranks #132) is not good and needs to improve. She will only have a few more chances to make the leap into the top 100. 2- Katelyn Dambaugh - She has teed it up 14 times this year, making just half of her cuts. Her 10th place finish at the Kingsmill Championship has been her only saving grace. Her 73.44 scoring average (153rd on tour) suggests she doesn't belong, but that one good finish has her at #121 on the money list. Time is running out. 3- Erynne Lee - Lee made a big splash early in the year with her 7th place finish at the Bank of Hope Founders Cup. Unfortunately, she has done little since then to help her retain her card. In fact, she has missed the cut in her last 13 starts. She is currently #125 on the money list and needs to turn it around quickly. 1- Lori Beth Adams - Has not teed it up this year on the LPGA Tour. 2- Rebecca Artis - Has made just 6 of 17 cuts, 127 on money list. 3- Tiffany Chan - Made 6 of 16 cuts, 145 on money list. 4- Lauren Coughlin - Made just 3 of 14 cuts, 158 on money list. 5- Gemma Dryburgh - Has made just 2 cuts in 15 starts. Ranks #163 on money list. 6- Martina Edberg - has made 2 of 7 cuts, ranks #160 on money list. 7- Allison Emrey - Made 2 of 8 cuts, 157 on money list. 8- Jennifer Hahn - Made 1 of 7 cuts, 174 on money list. 9- Harang Lee - Has failed to make a cut this year in her five starts. 10- Camilla Lennarth - made 5 of 11 cuts, 141 on money list. 11- Maddie McCrary - Has made just 2 of 8 cuts, 155 on money list. 12- Mind Muangkhumsakul - has made 1 cut in 5 attempts, 172 on money list. 13- Alexandra Newell - has made 1 of 8 cuts, 171 on money list. 14- Leticia Ras Anderica - Has made just 2 cuts in 11 events, 167 on money list. 15- Katelyn Sepmoree - has made 1 of 8 cuts, 170 on money list. 16- Kassidy Teare - Has made just 3 of 15 cuts, 159 on money list. 17- Samantha Tryanovich - Has made 3 of 8 cuts, ranks # 150 on money list. 18- Lindsey Weaver - Has made 5 of 8 cuts, but is #134 on money list. Georgia Hall became the 5th first time winner on the LPGA Tour this year. 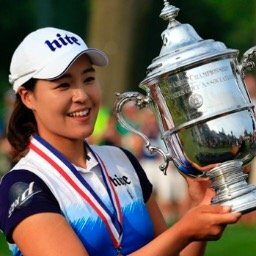 She follows Pernilla Lindberg, Moriya Jutanugarn, Annie Park, and Thidapa Suwannapurra. Charley Hull's missed cut stopped her streak at 26 straight. Lexi Thompson leads the tour with 30 consecutive cuts made. 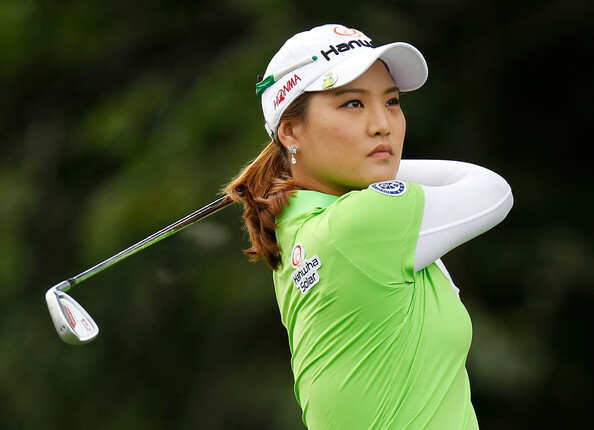 Jin Young Ko missed the cut for the first time since becoming an LPGA member. Georgia Hall leaps into the top ten this week, moving up from #39 to #10. Pornanong Phatlum vaults up from #97 to #46. Thidapa Suwannapura rises from #95 to #77. Ariya Jutanugarn increases her already huge lead and now has 3,323 points. She is followed by Minjee Lee with 2,199 points and Moriya Jutanugarn with 1,932. So Yeon Ryu moves into fourth place with 1,876 points. Jin Young Ko rounds out the top five with 1,804 points. Ariya Jutanugarn's fourth place finish this past week was her 9th top five finish of the year. Nobody on the LPGA Tour has more than six. It was also her 12th top ten finish which is three more than anyone else on tour. Carlota Ciganda has three consecutive top ten finishes. So Yeon Ryu has not finished out of the top 23 in her last six starts. Danielle Kang has failed to make it to the weekend in four of her last five starts. Caroline Hedwall has missed the cut in each of her last three starts. Since the year 2000, only one player successfully defended her U.S. Women's Amateur title. Can you name her?